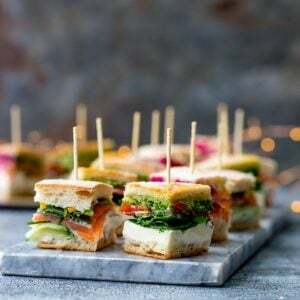 Home > Appetizers, Starters & Party Food > French pressed sandwich bites – posh sandwiches for your party table! 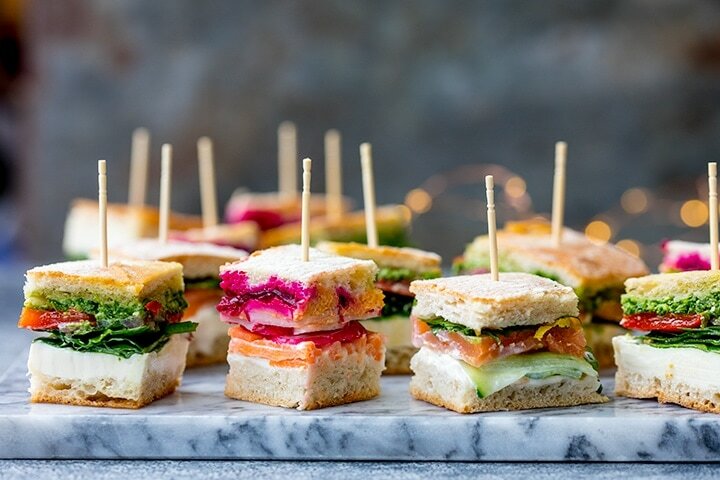 These French pressed sandwich bites – inspired by the pan bagnat – have 3 different flavour varieties in one loaf! 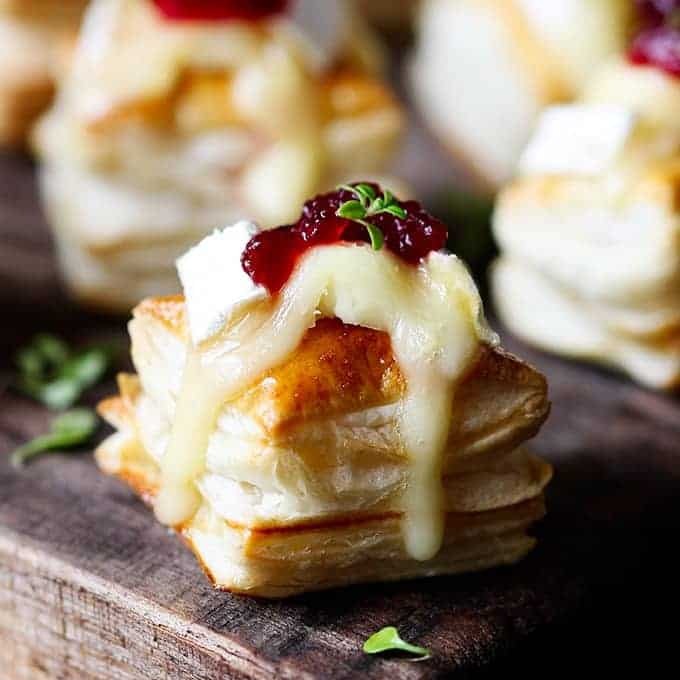 A party food that’s a little bit different, but still super easy to prepare. Are you entertaining for Christmas or New Year this year? We had 14 people round the table for Christmas dinner last year, so we decided that Christmas day would be just the four of us this year, then we’ll have family round and do some visiting starting on Boxing day. They’re cute, and I love mini, cute foods. 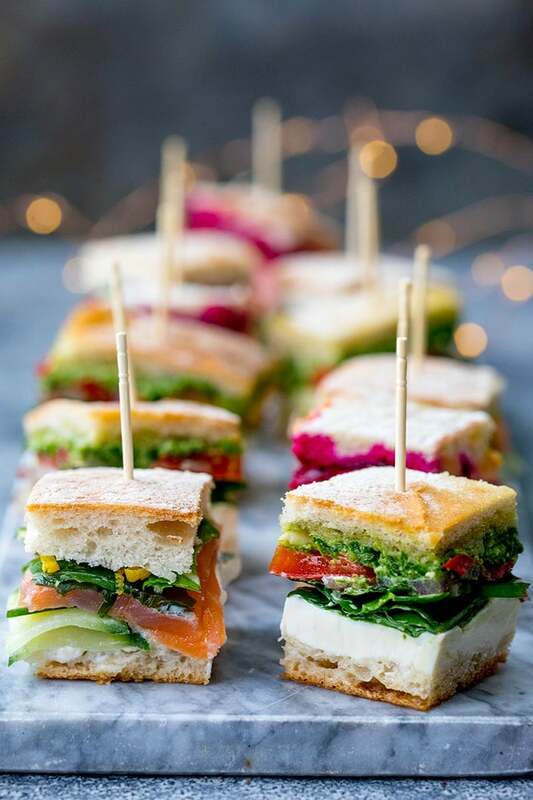 They’re colourful – and it’s nice not to have a party table full of beige foods! 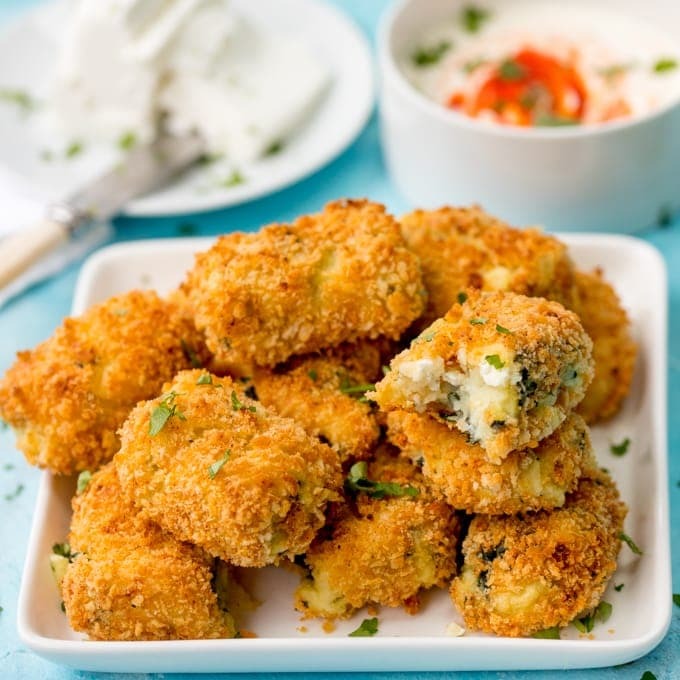 They’re a bit different – multi-layer sandwich bites with different flavour combinations. They’re great for using up bits of leftovers – smoked salmon trimmings, shreds of turkey, the bottom of that bag of spinach – they can all go in there. They look a bit fancy, and I like pretending I’m fancy sometimes. And of course they’re delicious too. I’m thinking of making a sweet version too – with banana and mascarpone, raspberries, Nutella and figs. Or how about doing it all in one loaf! Starting with savoury at one end and finishing with sweet at the other end! The middle slice might be a bit Russian roulette though…..
A week tomorrow till the big day and despite the fact that I’m that annoying list-maker that we talked about earlier, I’m definitely NOT organised for Christmas. 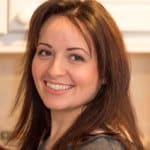 My Christmas cake is in the oven as we speak – several weeks after I was planning to make it (I even have a post titled November is the time to make your Christmas cake!). When I came to make it this morning, I accidentally squeezed the juice of a lemon in the mixture (instead of just the zest), I discovered we had no mixed spice – so had to improvise and make my own, and worst of all, that bottle of cherry brandy I thought I had at the back of the cupboard turned out to be grenedine. So my cake has a mixture of rum and amaretto in it instead. I also have several pressies left to buy, I need to replenish the ferrero rochers that we stuck in the Christmas tree because I ate them all (and it was a LARGE box), and I haven’t posted a single Christmas card. 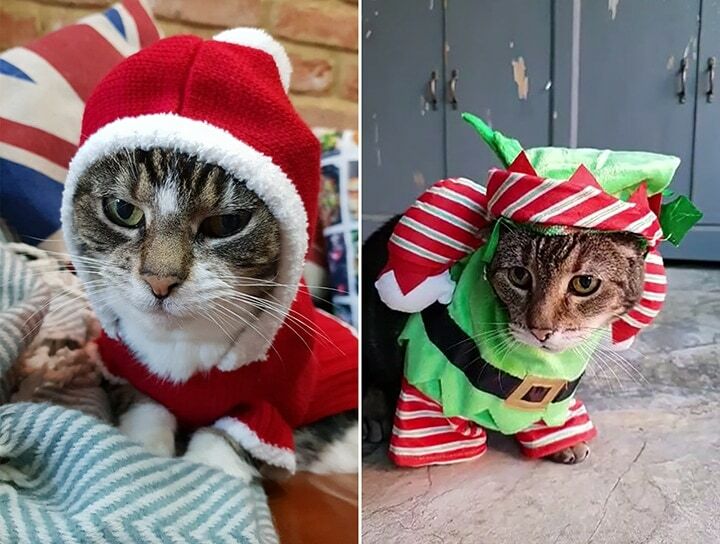 At least the cats have Xmas outfits though. (which, by-the-way lasted about 90 seconds, because I couldn’t stand looking at their sad/grumpy faces). 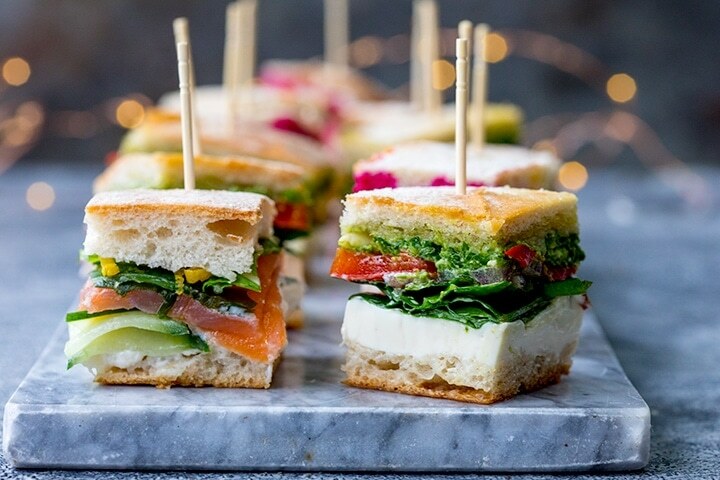 So back to the sandwich bites. Hollow out a ciabatta loaf, then spread the base with cream cheese. This helps to waterproof the sandwich, so the bread doesn’t go soggy. So I started with a layer of cucumber, spinach and carrot. Next a layer of salmon, red onion and radish. Then mizuna leaves, roasted peppers and hummus, and finally lemon zest, pesto and grated beetroot. Replace the ciabatta lid. 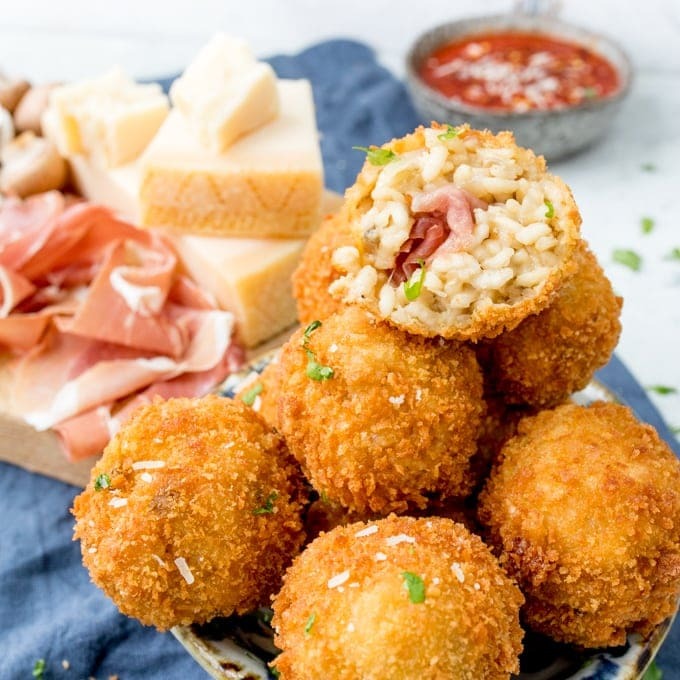 Then if you can’t wait, you can chop into bite-size pieces right away (hold each bite together with a cocktail stick). Or if you want to press it, wrap in parchment and place in the fridge. Place a baking tray on top with a heavy weight (I used a heavy pestle and mortar), and leave for a few hours or overnight. 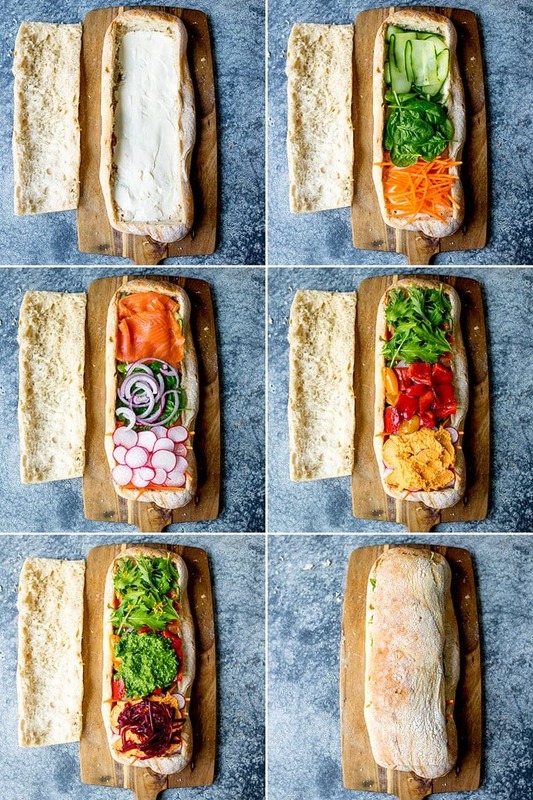 Yes, so long as you have a good thick layer of cream cheese, and you’re using really fresh ciabatta, you can make this 2 days ahead, then wrap and refrigerate. So far I haven’t found a decent, thick gluten free ciabatta. If you know of one, let me know and I’ll add it to this post. Warburtons do a pretty good gluten free sourdough cob that would work for this though. If you’re using a cob, you’ll be better off slicing into wedges. 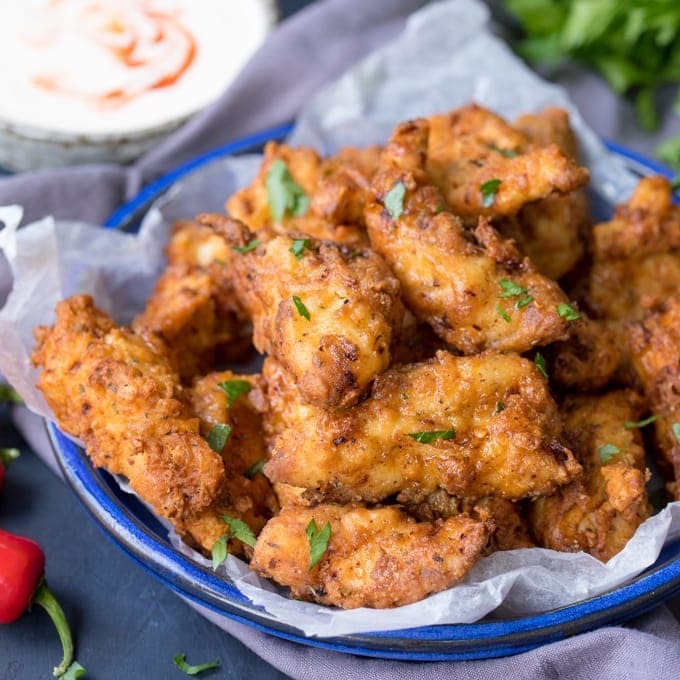 The wedges will probably be bigger than the bites, so it will serve fewer people. This is such a great idea for a party. Will definitely be trying for NYE. Oh yes ! Love different and easy to make. Thank you ! Pinned, shared, told ….